Already a widely loved contact lens, Biofinity now brings its brand of clarity and comfort to the presbyopic patient. 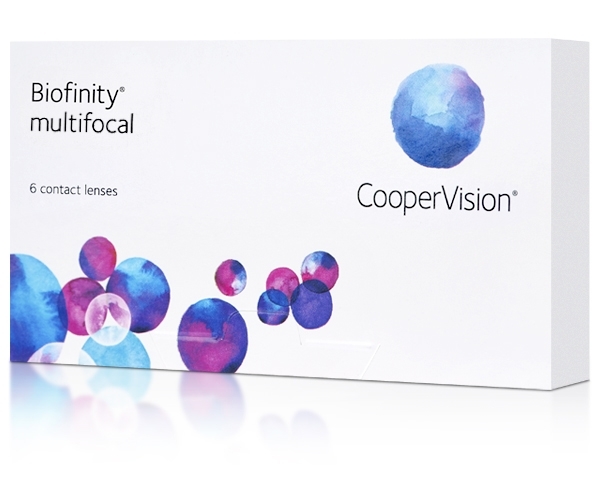 Multifocal contact lenses are manufactured with the same high standards and hydrogel material that makes the monthly reusable lens so popular. These repel irritants and lubricate the eye with natural moisture while letting in plenty of oxygen to ensure total eye health whether wearing them for seven hours or seven days. Lenses offers two styles, "N" and "D".